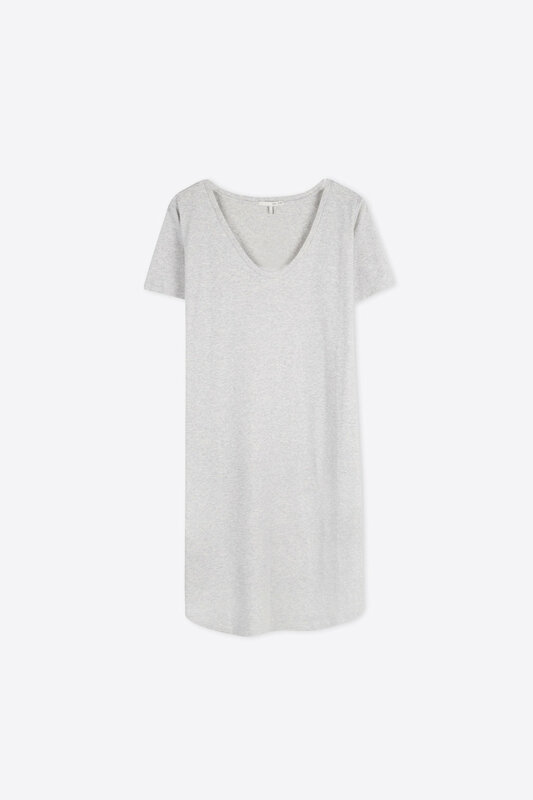 Crafted from an extremely soft cotton-blend fabric, this lightweight jersey dress is an essential in any solid wardrobe. 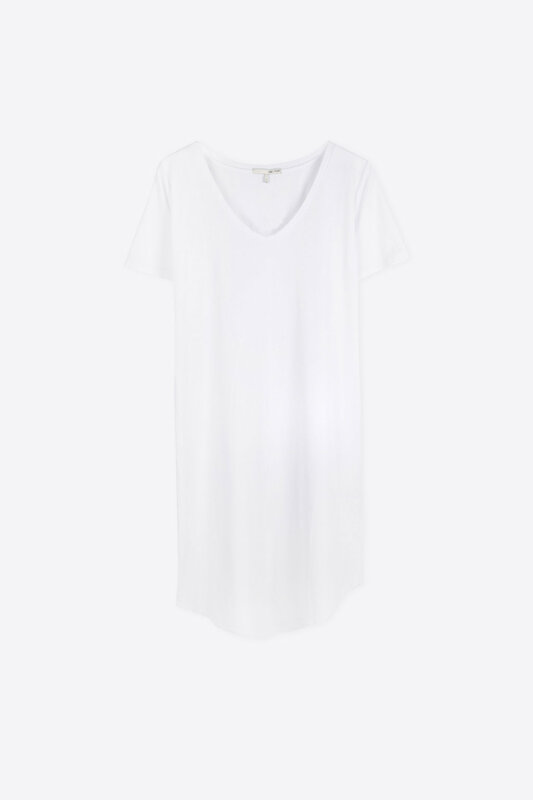 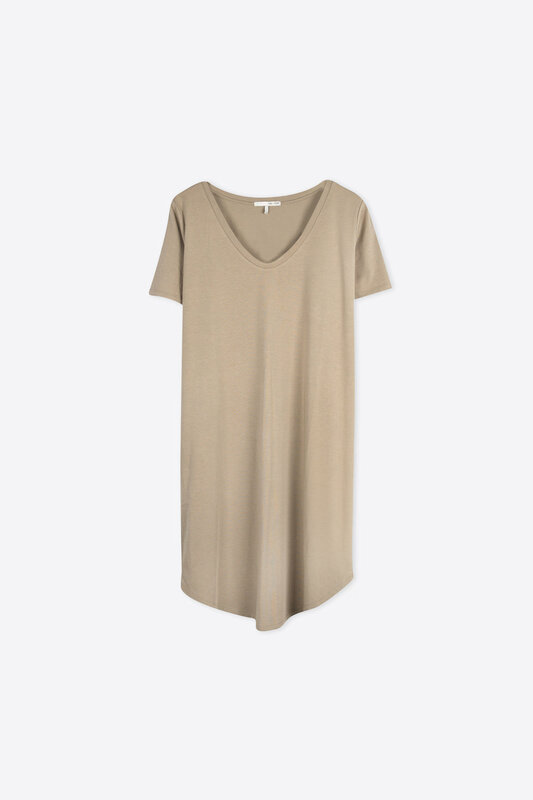 Featuring a v-neck and a slight dolphin hem, this dress is perfect for those lazy spring and summer days. 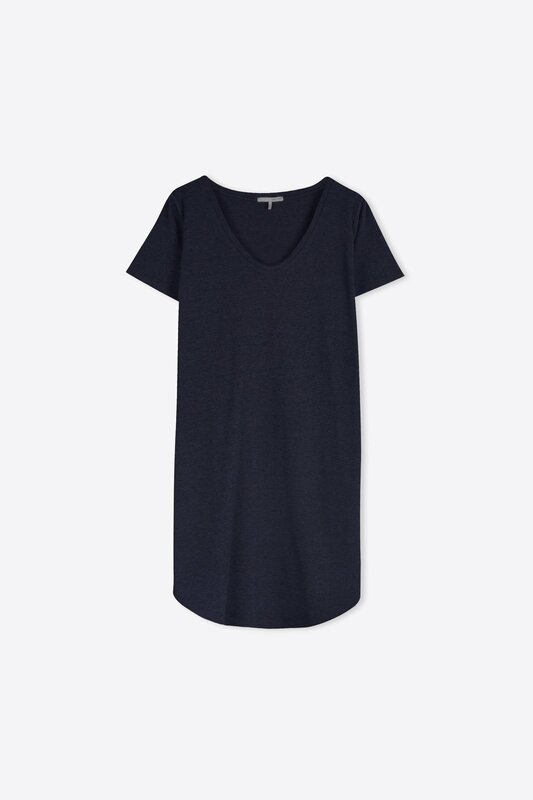 Pair with a denim jacket and sneakers for a cute and casual look.